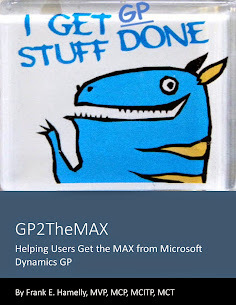 GP2TheMAX - Helping users get the 'MAX' from Dynamics GP: gptip42day - Why does my Next Check Number skip a beat? The Next Check Number can also skip if you have multiple users entering checks in any of the above-mentioned windows. 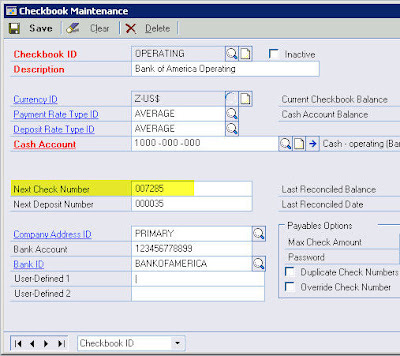 If several users simultaneously access the Next Check Number, then later decide not to continue entering the check, it is possible that check numbers could skip. and change the value in the Next Check Number field to the desired value.